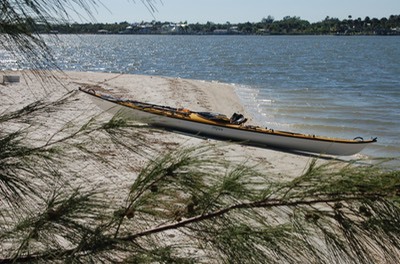 I have been paddling on the Indian River Lagoon for three seasons now. I have visited many of its spoil islands and have camped on a few. I am most familiar with the islands off of Sebastian, islands IR1 through IR6. For those of you unfamiliar with the spoil islands, how they are named and how the islands came to be, here is a short lesson. 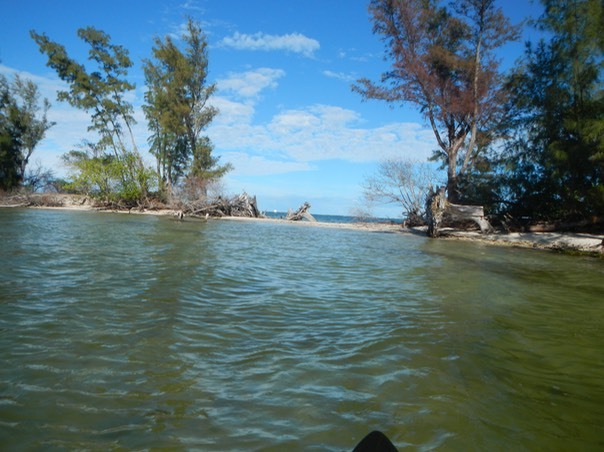 The islands were created as an unintended consequence of digging the Intracoastal Waterway. As the waterway was dredged, the "spoil" was dumped along its edge forming a string of islands. Seventy-one of these islands have been designated recreational islands, open to the public for day use and primitive camping. The islands get their cryptic names from the counties they are in. They use the county initials and are numbered starting with #1 as the most northerly island in the county and counting consecutively as they move south. 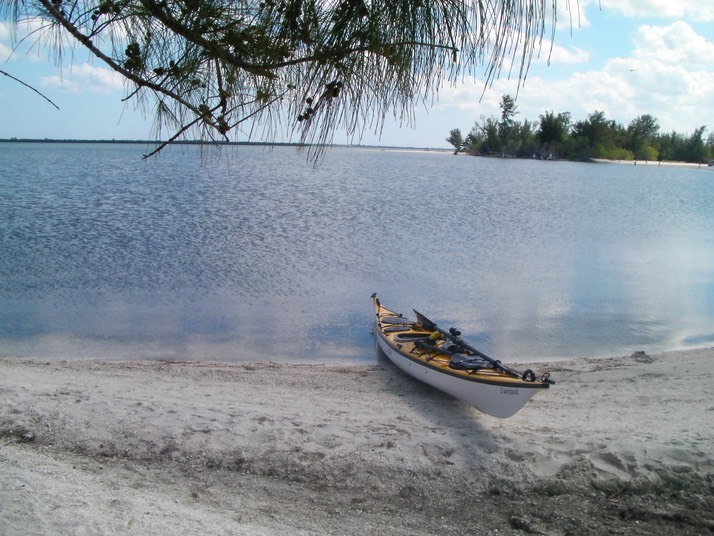 Thus, the most northerly spoil island in Indian River County is IR1. In Brevard County, its BC1. In Saint Lucie County, its SL1, and so on. 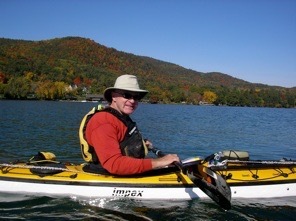 I paddle this area often and have noticed some great changes over my three seasons here. The islands are washing away. Hurricanes isaac and Sandy passed way off shore and did heavy damage far to our north. But they still managed to throw heavy winds and high water our way. The news papers reported substantial beach erosion. Beaches are vital to our tourist business, so millions were spent to "replenish" the beaches. But nothing has been said about what is happening to the spoil islands. These two storms along with lesser winds, created great changes in these islands. As the video will show, several of them have been almost cut onto two or three pieces. 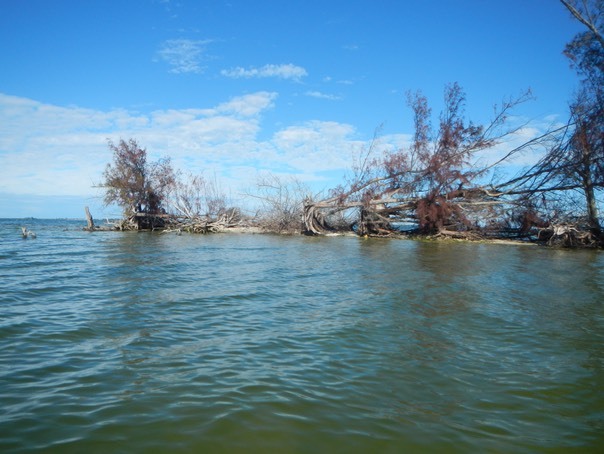 The skeletons of washed out trees stand thirty or forty feet off shore where there once was island. On my favorite camping island, IR1, the south end camping area is in danger of being washed away. A five foot high bluff stands as the remains of a sloping beach the extended thirty feet further into the water. These islands have stood here since the mid 1950's and have weathered many storms. But I now fear the combined effects of increasing sea levels and more violent storms caused by our warming climate will spell their doom.